Lawmakers have filed two competing bills about who should have the authority to decide whether to terminate a brain-dead pregnant woman's life — a preview of what promises to be a fiery legislative battle over end-of-life medical care in Texas. The mother of Marlise Muñoz, the pregnant Fort Worth woman who in 2013 was kept on life support against her family’s wishes, says her daughter’s death had been “used as a political debate” and wants to prevent other women from going through similar ordeals. 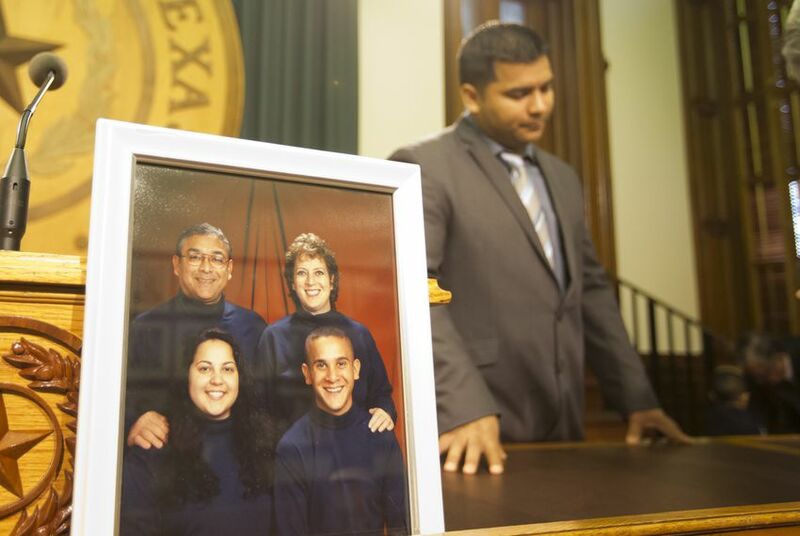 Lynne Machado visited the Texas Capitol on Thursday to push a legislative proposal that would allow women like her daughter — who was 14 weeks pregnant when she collapsed because of a pulmonary embolism and was pronounced brain-dead — to be taken off life support. That measure is one of two competing bills about who should have the authority to decide whether to terminate a brain-dead pregnant woman's life — a preview of what promises to be a fiery legislative battle over end-of-life medical care in Texas. Naishtat's proposal, House Bill 3183, would remove the requirement in state law that doctors maintain life-sustaining care for pregnant patients. State Rep. Matt Krause, a Republican of Fort Worth, has also introduced a measure that is essentially the opposite of Naishtat’s bill. That proposal, House Bill 1901, would strengthen the requirement that pregnant patients be kept on life-sustaining support, including in cases in which the patient is brain-dead. In 2013, a Tarrant County district judge ruled that Muñoz could be taken off life support because state law around life-sustaining care for pregnant patients does not apply if the patient is brain-dead. Krause’s legislation would also require health care providers to alert the Texas attorney general if life-sustaining support of a pregnant patient is at issue. If a patient’s family seeks legal action to take a pregnant woman off of life support, the attorney general would be required to appoint an attorney to legally represent the patient’s fetus in court proceedings. That attorney would be selected from a registry Krause’s bill would require the attorney general to create. Muñoz was kept alive at a Fort Worth hospital for 62 days before she was taken off life support. The case received national attention and stirred a political debate in Texas. At the press conference on Thursday, Muñoz’s parents and husband said they wanted the public to remember her as an individual, not a political prop.